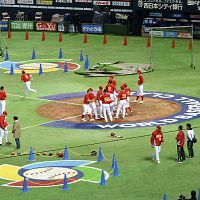 Japan won Brazil by 5-3 in the opening game of the World Baseball Classics (WBC)(http://web.worldbaseballclassic.com/index.jsp) at Fukuoka Yafuoku! Dome in Fukuoka City on the March 2nd. 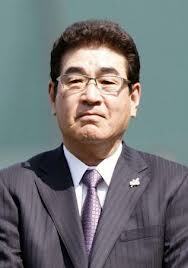 The development of the game was quite dramatic and Brazil had got the first score in the first inning but under the 2-3 state, Japan got the winning 3 scores intensively with the winning hit of a pinch hitter Shinnosuke Abe in the 8th inning and finally received a memorable come-from-behind victory at last.